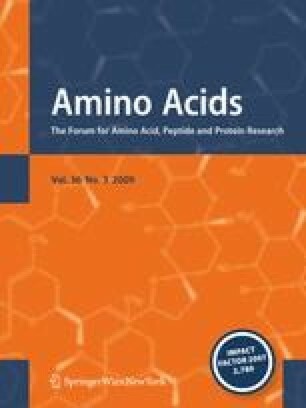 The present study has been carried out to investigate the role of taurine (2-aminoethanesulfonic acid), a conditionally essential amino acid, in ameliorating cadmium-induced renal dysfunctions in mice. Cadmium chloride (CdCl2) has been selected as the source of cadmium. Intraperitoneal administration of CdCl2 (at a dose of 4 mg/kg body weight for 3 days) caused significant accumulation of cadmium in renal tissues and lessened kidney weight to body weight ratio. Cadmium administration reduced intracellular ferric reducing/antioxidant power (FRAP) of renal tissues. Levels of serum marker enzymes related to renal damage, creatinine and urea nitrogen (UN) have been elevated due to cadmium toxicity. Cadmium exposure diminished the activities of enzymatic antioxidants, superoxide dismutase (SOD), catalase (CAT), glutathione-S-transferase (GST), glutathione reductase (GR), glutathione peroxidase (GPx) and glucose-6-phosphate dehydrogenase (G6PD) as well as non-enzymatic antioxidant, reduced glutathione (GSH) and total thiols. On the other hand, the levels of oxidized glutathione (GSSG), lipid peroxidation, protein carbonylation, DNA fragmentation, concentration of superoxide radicals and activities of cytochrome P450 enzymes (CYP P450s) have been found to increase due to cadmium intoxication. Treatment with taurine (at a dose of 100 mg/kg body weight for 5 days) before cadmium intoxication prevented the toxin-induced oxidative impairments in renal tissues. The beneficial role of taurine against cadmium-induced renal damage was supported from histological examination of renal segments. Vitamin C, a well-established antioxidant was used as the positive control in the study. Experimental evidence suggests that both taurine and vitamin C provide antioxidant defense against cadmium-induced renal oxidative injury. Combining all, results suggest that taurine protects murine kidneys against cadmium-induced oxidative impairments, probably via its antioxidative property. Prasenjit Manna and Mahua Sinha contributed equally in the study. The authors are grateful to Mr. Prasanta Pal for excellent technical assistance for the study.